I was really excited to receive Pioneer Woman’s new cookbook, “The Pioneer Woman Cooks: A Year of Holidays” for a Christmas gift from my hubby. 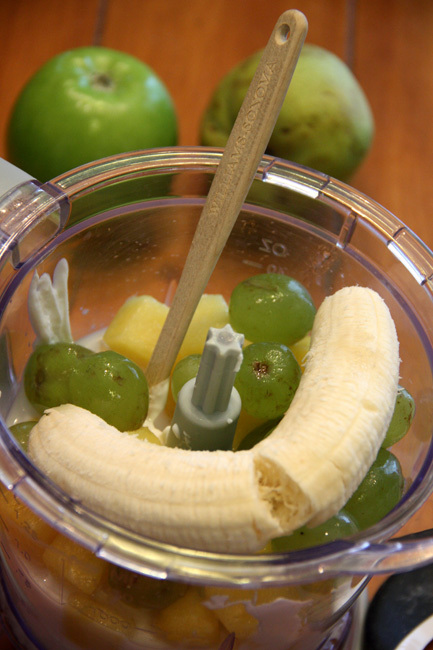 When I saw the New Year’s recipes, I knew I wanted to try the Resolution Smoothies! YUM! 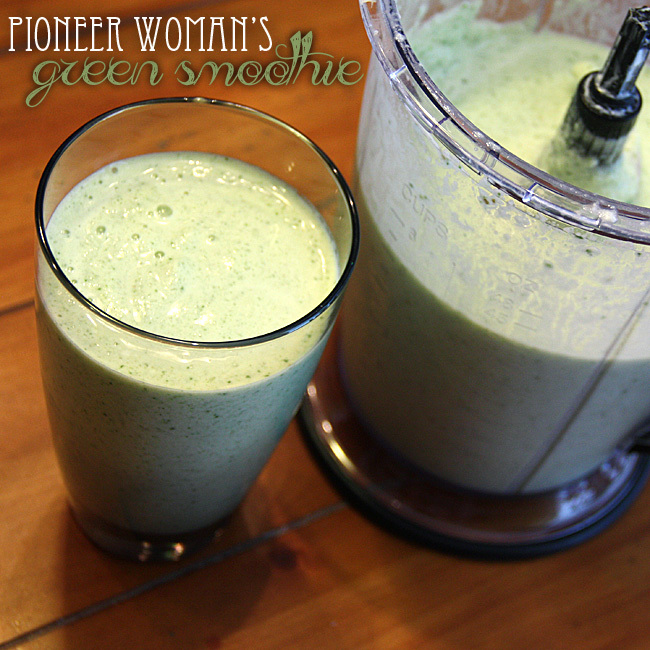 I have been wanting to try a green smoothie for quite some time, so I thought this would be the perfect time… and how can you go wrong with Pioneer Woman? 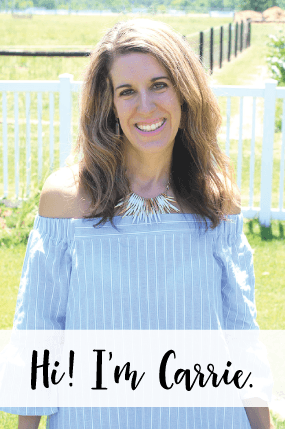 We have about three different blenders are out house and even a couple of food processors… when I started filling our medium sized blender with all of the ingredients for this smoothie, it was quickly filled to the rim! SO, I moved it all to our BIG blender and we still didn’t have enough room to top it off with ice. 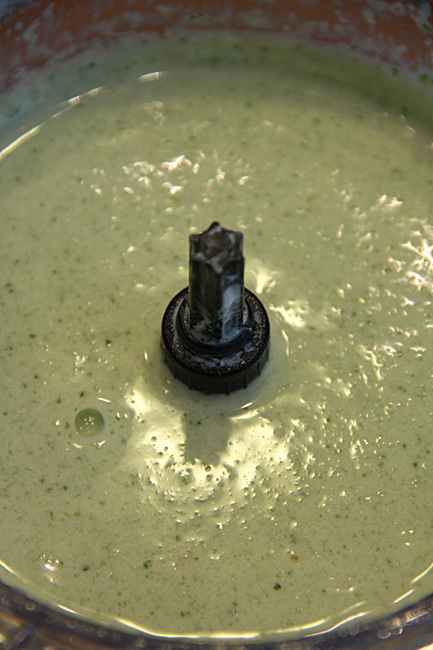 SO, I separated it in two batches before adding the ice, spinach and honey. So, I will blend the second batch for smoothies for breakfast tomorrow. YUM! I am now really curious what blender the Pioneer Woman uses… it must be HUGE! 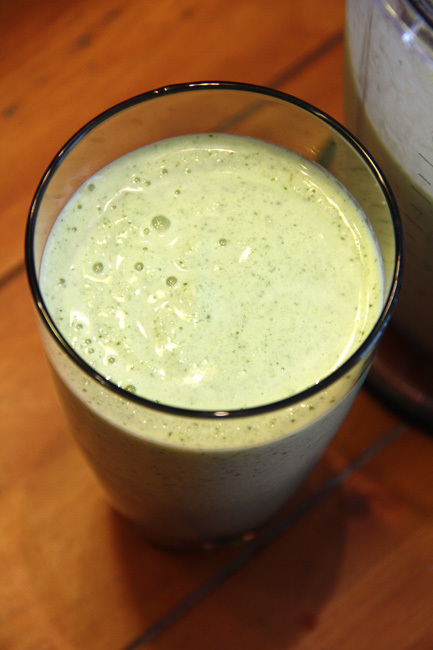 The smoothie didn’t turn green until I added a handful of spinach… the green color is so pretty! I had two tall glasses of this! My husband doesn’t like banana’s, so he only drank one glass and told me he could tell there was banana in it. Poor guy. 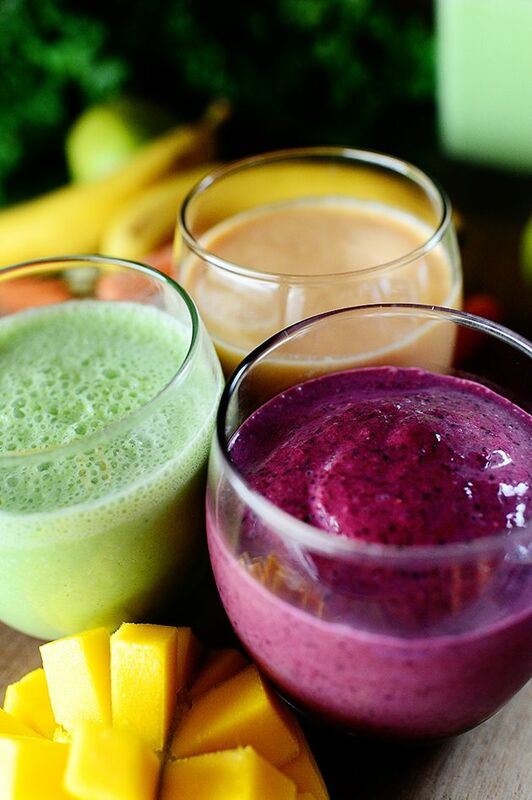 Here is a photo from off of Pioneer Woman’s website… she has three resolution smoothies: Green Smoothie, Purple Smoothie and Orange Smoothie. I may try the purple smoothie next!